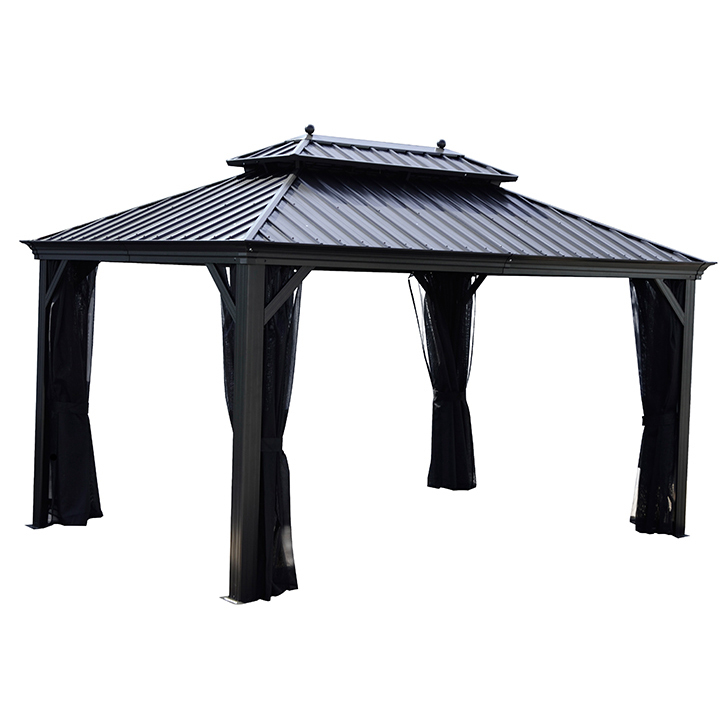 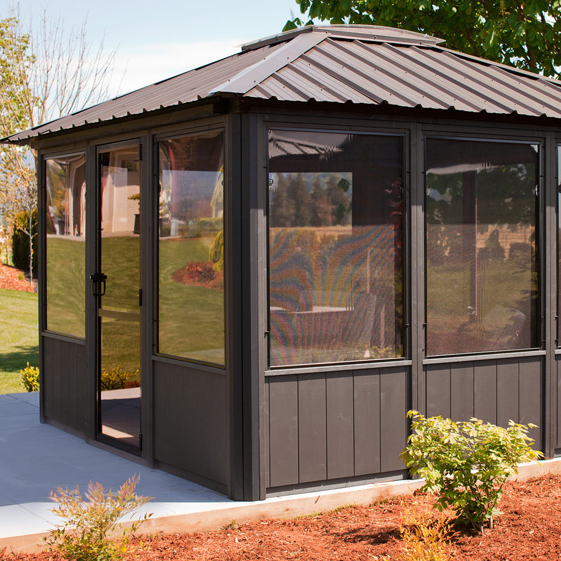 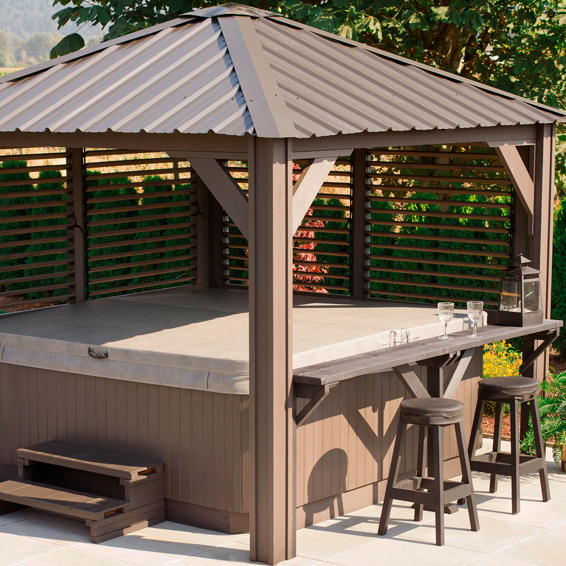 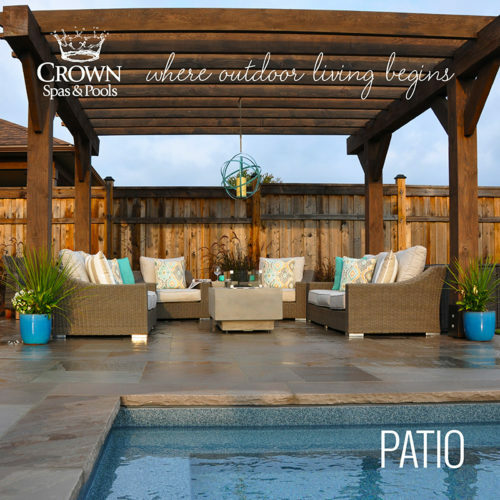 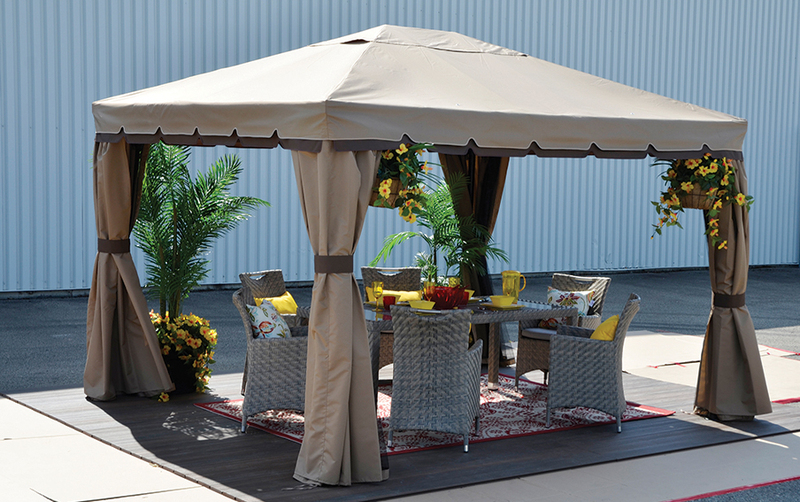 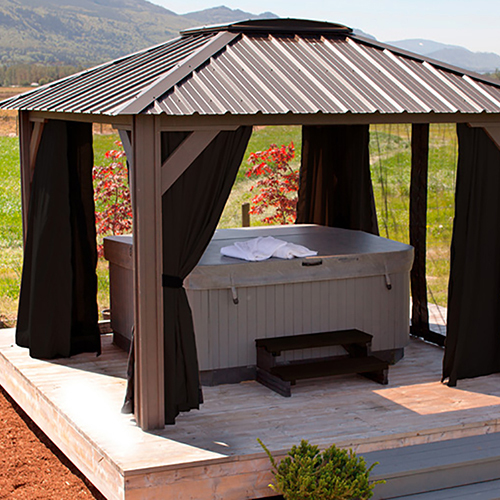 The St. Martin Gazebo is a beautiful accent piece for any backyard space. 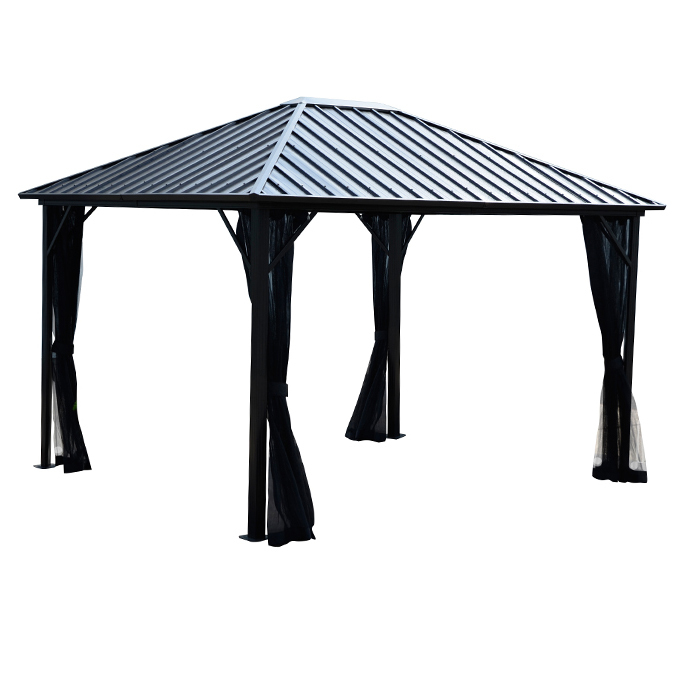 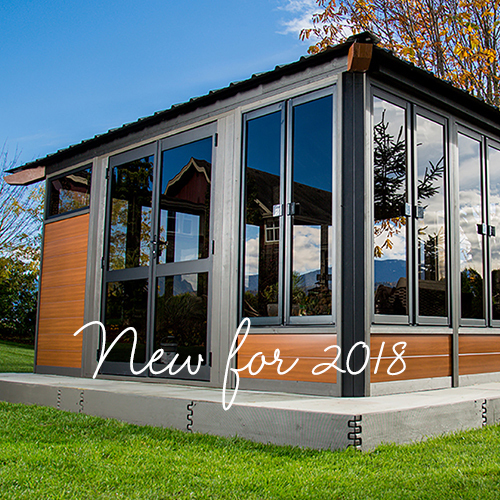 The aluminum and steel frame provides the ideal strength and durability you want and expect from an outdoor shelter, especially in our Canadian climate. 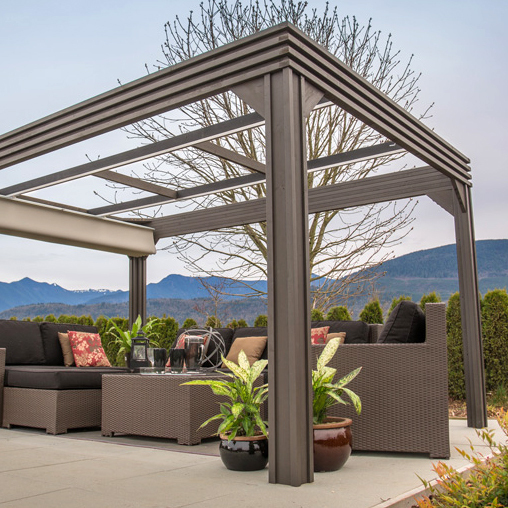 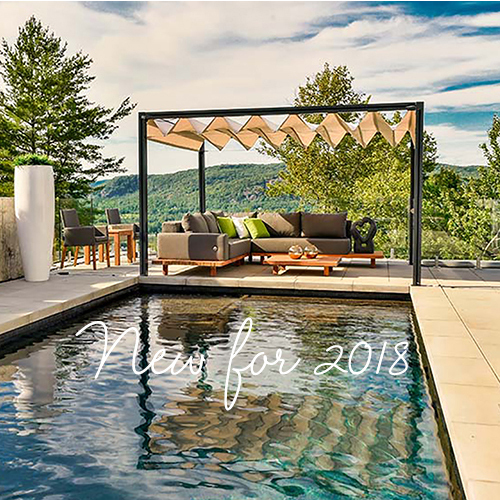 Two curtain tracks provide the privacy you want when you need it for private dining functions or for sheltering yourself, your guests and your friends from the elements. 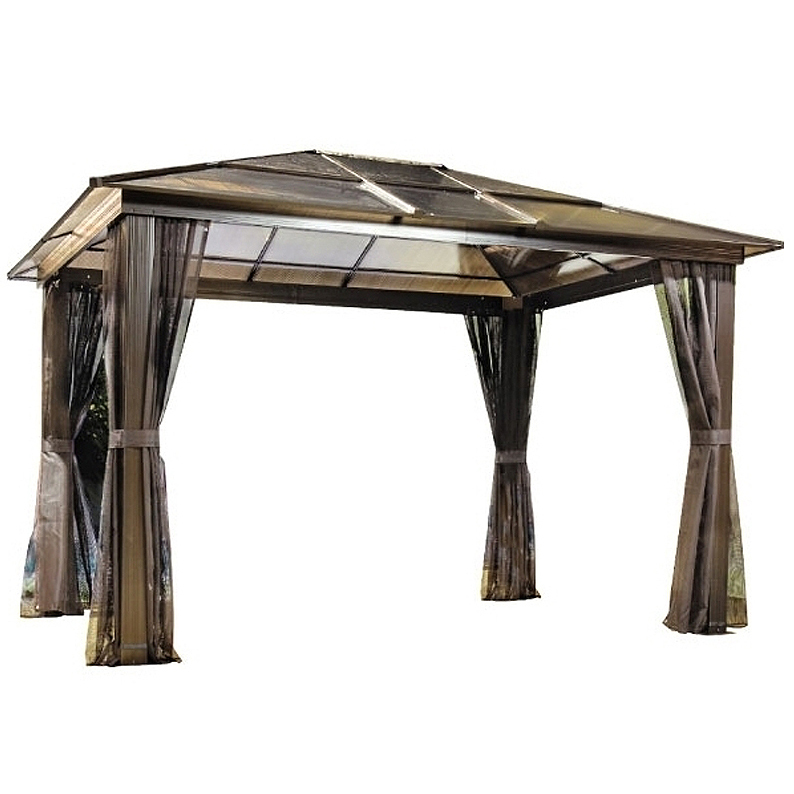 For those summer nights when the pesky bugs are out and the party tends to stop, use the textilene mosquito net for shelter and privacy. 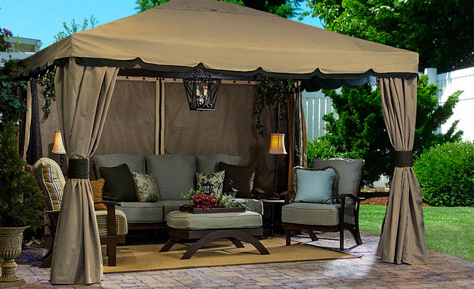 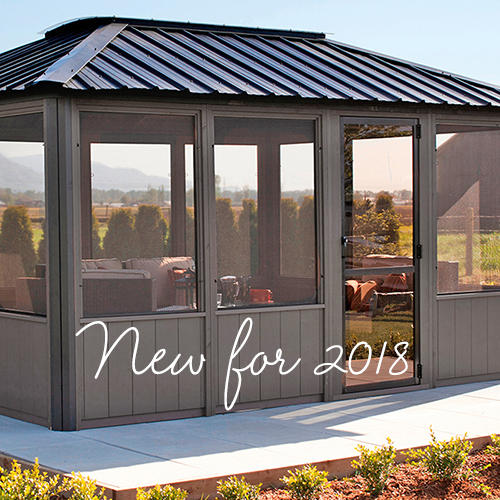 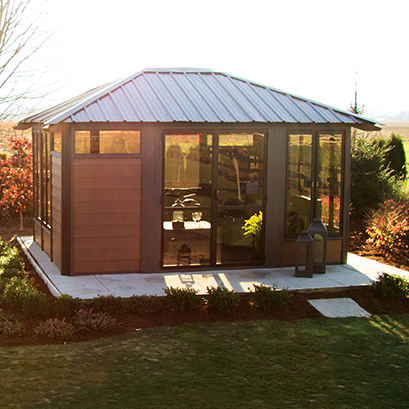 Whether your planning on relaxing alone in the comfort of your own backyard, or planning on hosting a large event, the St. Martin provides comfortable shelter for any occasion.